In 1976, Germany’s Scorpions were a hard rock band looking to expand their audience beyond a loyal following in their homeland. Formed in 1965 by guitarist Rudolf Schenker, Scorpions ran through various line-ups before recording the band’s 1972 debut, Lonesome Crow. 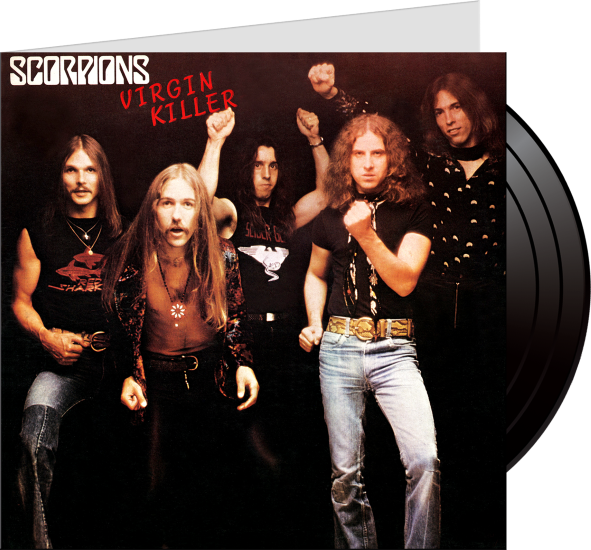 By the time of the band’s third album, In Trance, the Scorpions roster had gelled with Schenker, singer Klaus Meine, guitarist Uli Jon Roth, bassist Francis Buchholz, and drummer Rudy Lenners, and it is these five talented musicians that would deliver what is widely considered to be the band’s breakthrough LP, as well as one of their best, Virgin Killer. On April 21, 2015 Marshall Blonstein’s Audio Fidelity Records will reissue Virgin Killer as a limited edition, 180 gram vinyl album. Missing on this reissue will be the original album’s controversial cover image of a naked young girl sitting behind broken glass, which was replaced at the time by the current band photo. While the shocking original cover artwork garnered the band a degree of notoriety, it was the music that grabbed the attention of audiences across Europe and in the United States and Canada. Fueled by guitarist Roth’s imaginative, Hendrix-tinged leads, Virgin Killer represented the band’s first step towards the hard-rocking, influential heavy metal sound that would dominate their 1980s-era hit albums like Animal Magnetism and Blackout.